This article describes the CC2 4-88 student eTool and provides a link to access it. 1. 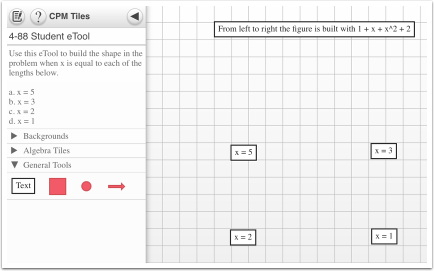 Use this eTool to build the shape in the problem when x is equal to each of the lengths below. 2. 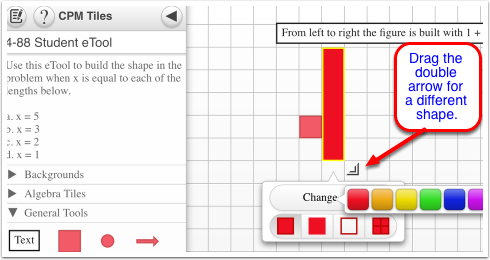 To build, drag the red square to the grid. Drag the double arrows for more than 1 block. Change the color if desired.